Marcus Rashford is set to double his earnings in a huge new contract at Manchester United, as interest grows from Europe’s elite. The Mirror reports that United are prepared to increase the 21 year old’s £75,000 a week current deal, which runs out in 18 months time. 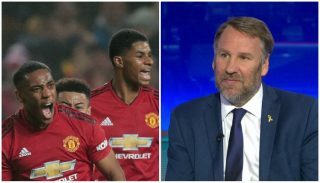 It is understood the club want to tie down Rashford on a longer-term deal, and feel doubling his earnings will reflect his form and progress at Old Trafford. 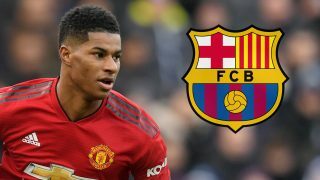 Real Madrid and Juventus are both keen on signing Rashford this summer, as per The Express, though the England international’s immediate future at his boyhood club. 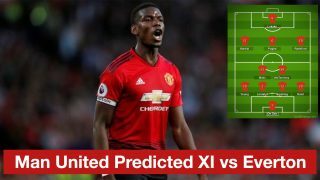 Rashford has flourished in the main striker role since Ole Gunnar Solskjaer’s interim appointment, keeping £75m signing Romelu Lukaku on the bench. His finishing has already improved under the Norweigan, recently scoring a stunning winner in United’s victory over Tottenham on Sunday. 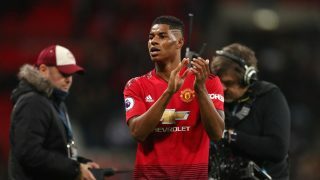 Manchester-born Rashford was struggling to live up to expectation during the start of the season, occupying the left hand touchline under Jose Mourinho. 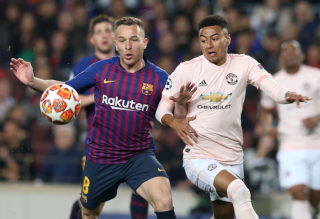 But he is now thriving under Ole Gunnar Solskjaer in a new central role, which he has made his own. 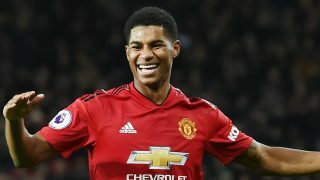 United’s home game against Brighton this Saturday will mark Rashford’s 150th appearance at the club, since being handed an unforgettable debut against FC Midtjylland in 2016, where he scored two goals. Rashford represents United’s future and certainly warrants the faith the club will put in him with a new deal.